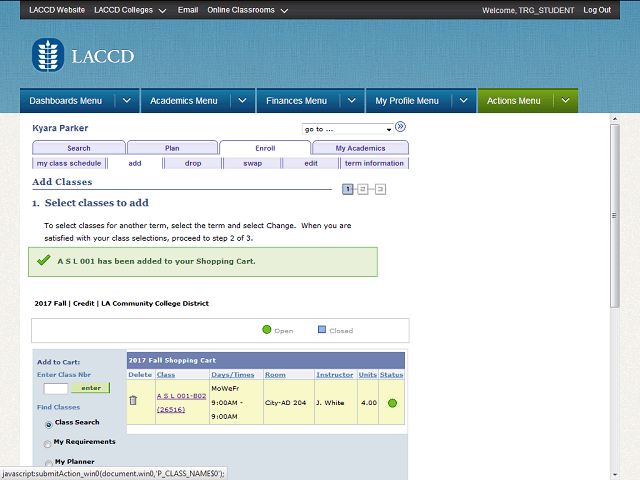 Search for an Open Class at LACC using the Open Classes Tool. You can browse for classes by Program or by Department. Find the name of the class that you want to add, and make note of its Class Number. Click the Academic Menu button. Click the Add Classes link. Click in the Enter Class Number field, and enter the number you recorded earlier. Then click the enter link. You have successfully added the course to the Shopping Cart. Add additional classes as required by repeating the previous steps. 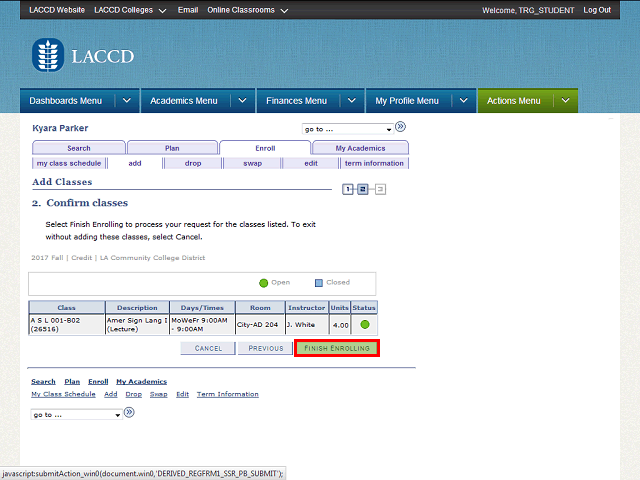 Once you have added all of your desired classes, click the Proceed To Step 2 of 3 button. Review the Class Information under Step 2 Confirm classes. 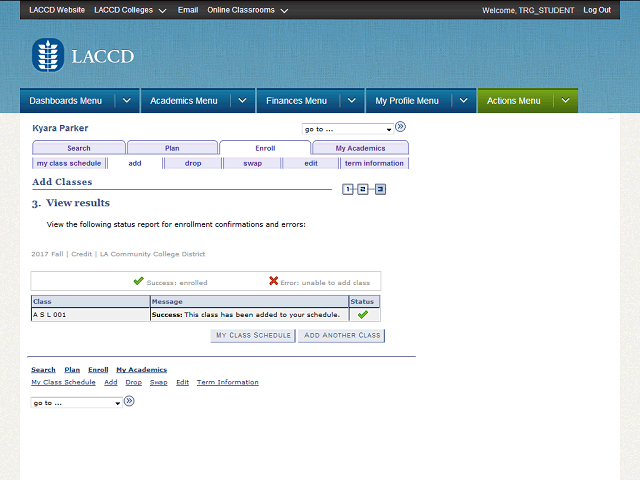 Click the Finish Enrolling button when you are satisfied with your classes. You will see a green check mark in the Status Box of the Class. This indicates that the Class has been successfully added to your schedule. 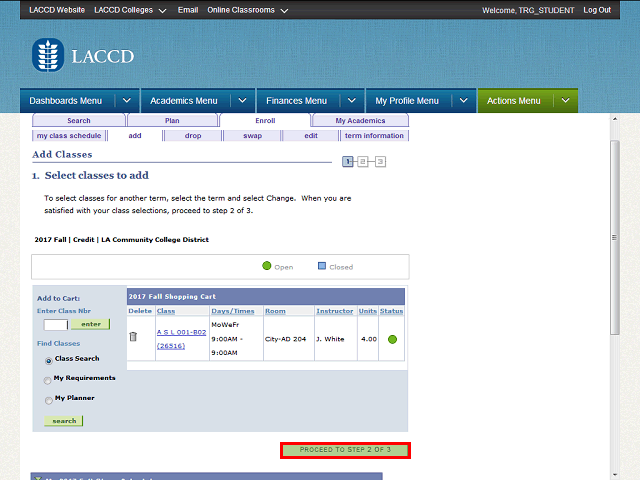 Please review the additional topics to learn how to perform more tasks in the Student Portal. Languages spoken: English, Spanish, Armenian, and Russian.